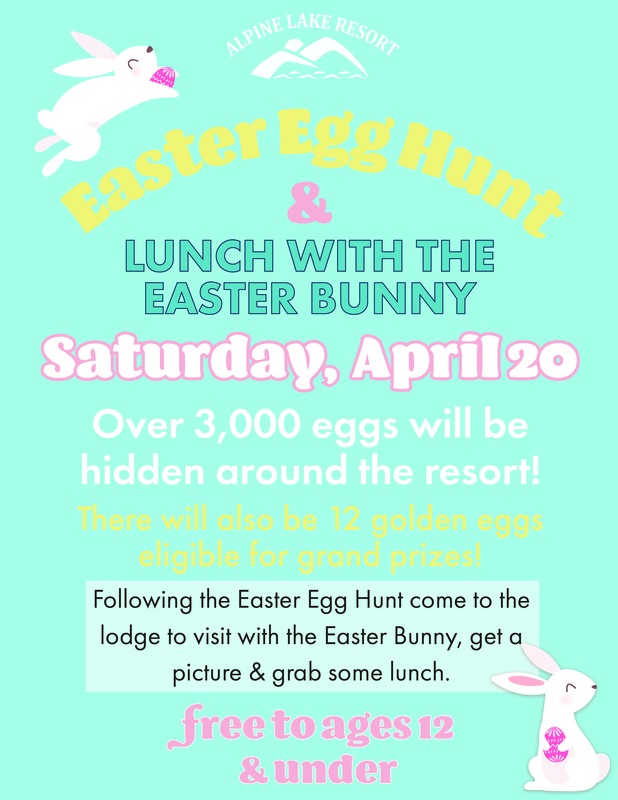 Over 3,000 eggs will be hidden around the resort! There will also be 12 golden eggs eligible for grand prizes! 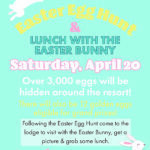 Following the Easter Egg Hunt come to the lodge to visit with the Easter Bunny, get a picture and grab some lunch! Free to ages 12 and under.